“The approval was based on a substantial improvement in overall survival (OS) in a phase 3 study. “The FDA has expanded the approval for single-agent Opdivo (nivolumab) to include the frontline treatment of patients with BRAF wild-type advanced melanoma, based on a substantial improvement in overall survival (OS) compared with the chemotherapy dacarbazine in a phase 3 study. “The review period for frontline nivolumab (Opdivo), in patients who have advanced melanoma, recently received an extension of 3 months by the FDA, in order to allow ample time for review of the additional data submitted by Bristol-Myers Squibb (BMS). The updated action date for the new indication is November 27, 2015. “Nivolumab initially received a priority review designation for the new indication on April 30, 2015, based on the phase III CheckMate-066 trial that explored nivolumab in untreated patients with BRAF wild-type advanced melanoma. The new data hope to support an approval that is irrespective of BRAF status, BMS indicated. “A pooled analysis of four clinical trials of nivolumab (Opdivo) in advanced melanoma, reported by Larkin et al in JAMA Oncology, suggested similar response rates in patients with BRAF V600 mutant and BRAF wild-type disease. “The retrospective analysis included data from adult patients with unresectable stage III or stage IV melanoma from four clinical trials. Nivolumab was given at 0.1, 0.3, 1.0, 3.0, or 10.0 mg/kg every 2 weeks until disease progression, treatment discontinuation due to adverse events, withdrawal, or end of study, with 83% of patients receiving the 3 mg/kg dose. Overall, 72% of patients in the BRAF mutant group had received prior BRAF inhibitor therapy. A total of 73% of patients in the BRAF wild-type group and 86% in the mutant group had received at least two prior therapies for advanced disease. “Yale University has launched a multicenter clinical trial, sponsored by Stand Up to Cancer and Melanoma Research Alliance, that will apply the latest in personalized medicine technology to treat metastatic melanoma. The trial, for which Yale is a lead site, will enroll patients lacking a particular genetic mutation for whom immune therapy did not work or was not an option. “Metastatic melanoma is a type of cancer that has spread from the skin to other parts of the body, most frequently the lungs, muscle, and liver. It is the most advanced and deadly type of melanoma, and notoriously difficult to treat. The gist: A recent clinical trial with volunteer patients compared two treatments for metastatic melanoma. It showed that one of the treatments might give longer survival times for people whose tumors do not have mutations in the BRAF gene. This treatment is a drug called nivolumab. It is an immunotherapy drug, meaning that it boosts a patient’s own immune system to fight cancer. In the trial, some patients took nivolumab and some took the chemotherapy drug dacarbazine. People who took nivolumab lived a few months longer than people who took dacarbazine. None of the patients had taken any previous treatments for their melanoma. “Patients with treatment-naive, BRAF wild-type metastatic melanoma treated with nivolumab demonstrated longer OS and PFS than those treated with dacarbazine, according to phase 3 study results presented at the Society for Melanoma Research International Congress. “Prior research showed nivolumab (Opdivo, Bristol-Myers Squibb) — a PD-1 immune checkpoint inhibitor — was associated with higher rates of objective response compared with chemotherapy in patients with ipilimumab (Yervoy, Bristol-Myers Squibb)-refractory disease. 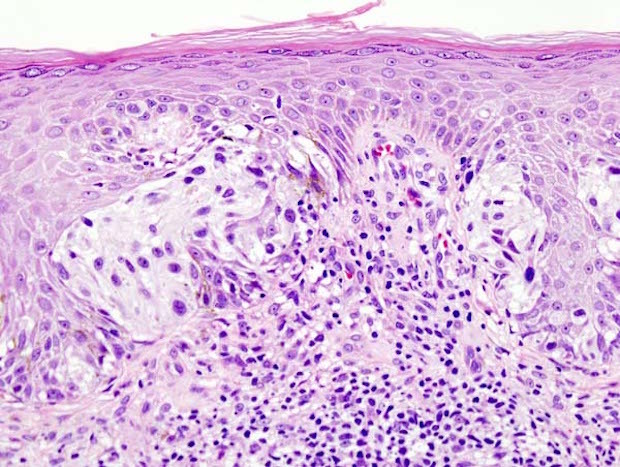 “In the current study, Caroline Robert, MD, PhD, head of the Dermatology Unit at the Institut Gustave-Roussy in Paris, and colleagues compared the efficacy of nivolumab vs. chemotherapy in 418 previously untreated patients.